As a reminder, Theology on Tap is geared toward young adults ages 18-39. 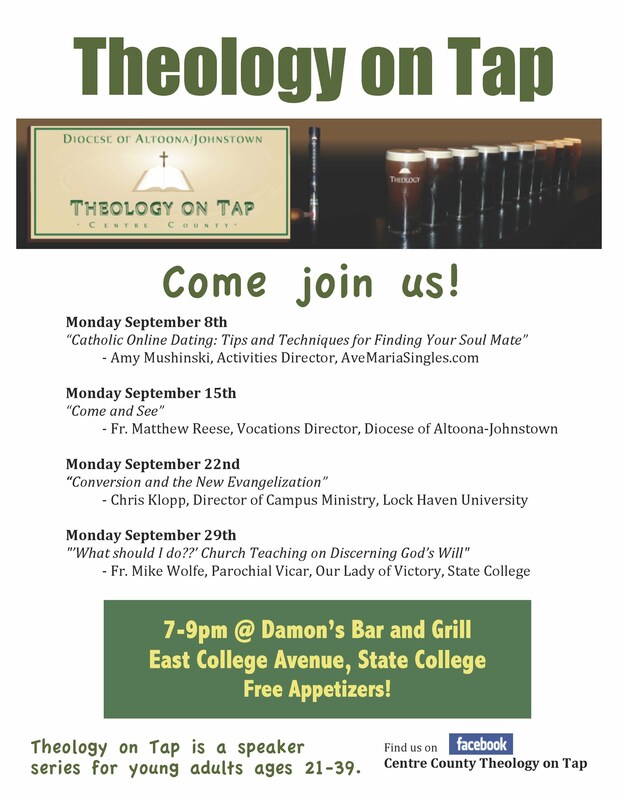 Please join us on Facebook: Theology on Tap Centre County. Thanks for everyone who attended last year. Stay tuned, the next series begins very soon on October 22, 2015.